Need to find out what research has already been conducted in your topic area? Some PhD research ends up being published but not all, so doing a specific search for theses may be the only way that you will come across it. This Innovative Learning Week seminar will cover search techniques for theses in online and print form. Today, 15:00-16:00, New College – Room 1.07. Can’t attend today’s session? Book on the IS Skills Finding Theses seminar, or explore the Theses Subject Guide online. 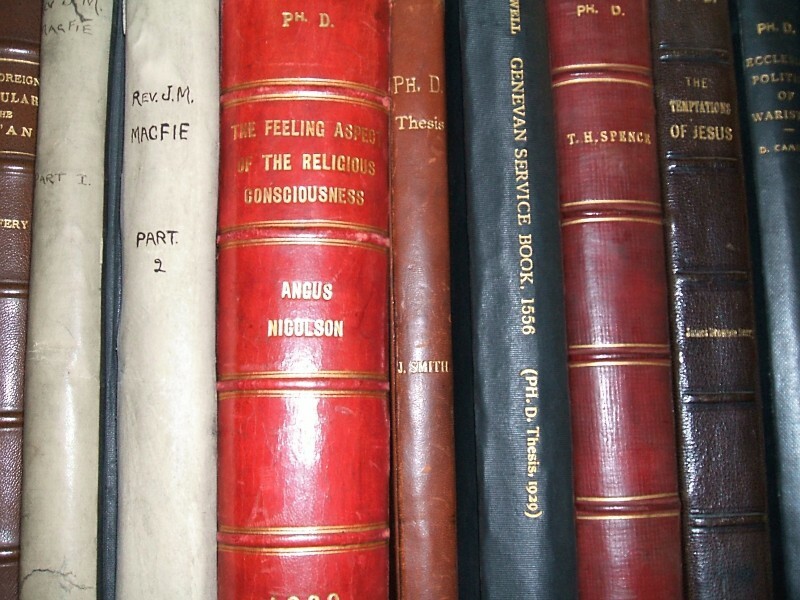 Proquest’s Dissertations & Theses database is now available for University of Edinburgh users. Thank you for all your feedback which was key to putting together a case for purchasing this expensive resource. For information about more resources and services for theses, see the Theses Subject Guide. Postgraduate students often ask me about how to find theses. Unfortunately there’s no single source for information on all theses worldwide. 3. 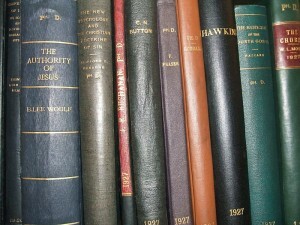 Remember that most University of Edinburgh printed theses are kept as archival copies and can only be read in the Library. 4. 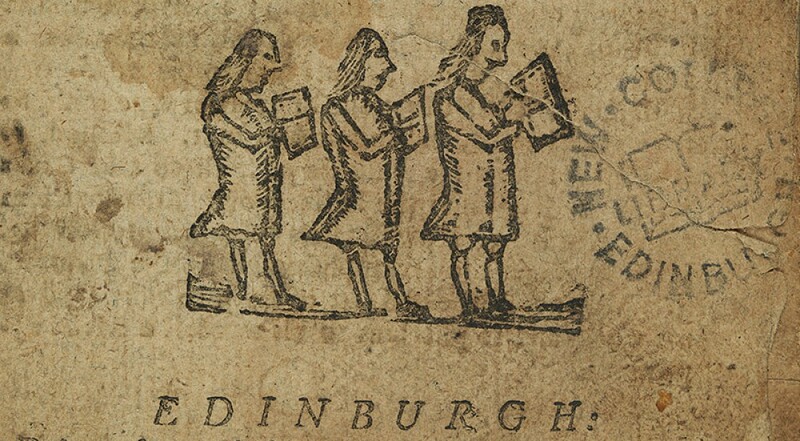 The Edinburgh Research Archive (ERA) has full text online versions of all Edinburgh University theses submitted from 2005. 7. [University of Edinburgh restricted] The Dissertations and Theses database from ProQuest finds details of primarily US & Canada theses. Currently the University of Edinburgh has not subscribed to the full text option, but if you want the full text you could apply for an inter-library loan. 8. New to me is the Networked Library of Theses and Digital Dissertations – SCIRUS Search. This freely available search of public domain theses will include subscribed content from University of Edinburgh subscriptions if you’re on a University network machine, or going through MyEd or VPN at home (No need to alter settings as you would for Google scholar). There’s more full text here than I’d expected. 9. The DART Europe E-Theses portal – at the time of writing, this is offering access to 362030 open access research theses from 523 Universities in 27 European countries. 10. For theses from further afield, you could try the Center for Research Libraries Global Resources Network. 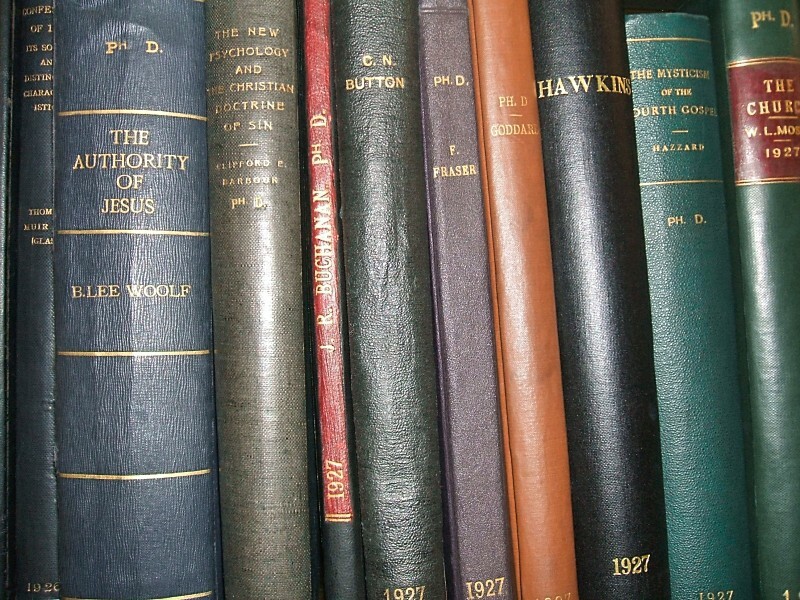 In response to your questions, here’s some tips for finding New College theses on the University of Edinburgh Library catalogue. Personally, I find using the Aquabrowser version of the catalogue quite useful for a quick (if dirty) search of what’s available. Type in theses + another search term – e.g. christianity, New Testament etc – into the search box. I searched for eschatology theses. Once you’ve got your list of results make sure that you select ‘New College Library’ from the list of library locations and you should get New College Library results only. One health warning here : you will also get books with the word ‘theses’ in the title and you may get theses from other universities if we have them in the library. For more precision, you can use the ‘classic’ library catalogue interface. Go straight to the advanced search. Type theses into the search box . Add any additional keywords into the remaining search boxes. Make sure you choose a year of publication option – click one of the radio buttons. For instance you can click the first radio button and choose to search the last 50 years. Now go down to the Library location box and choose New College Library only. Another tip – when you click the search button at the bottom of the form, choose the search button next to where it says ’10 records per page’. Don’t click the word ‘Search’ which is on the tab at the bottom of the page next to Saved Searches. If you do – as I’ve found to my frustration – it thinks you want to start a new search and you end up having to start over again.